Les Crosets, Switzerland. 650Km piste. Les Crosets, Switzerland, Situated at 1,670m above sea level in a sunny bowl above Champery, Les Crosets is the ideal jumping-off point to explore the whole of the Portes du Soleil. 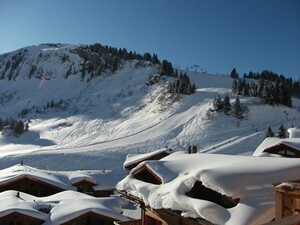 This includes Avoriaz and Morgins, and further afield, Chatel and Morzine. 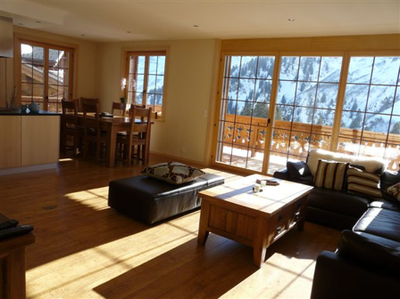 Over the last few years, Les Crosets has undergone a major transformation from small mountain farm community to a high class ski-in/ski-out resort which also offers excellent summer holiday options as well. 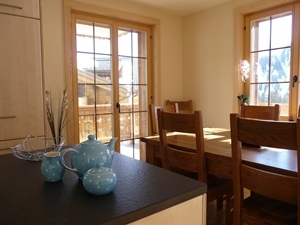 Les Crosets is a beautiful Swiss village, that feels unspoilt, but at the same time has amenities to hand. The Dents du Midi mountains are imposing and stunning as the light cascades over them in an ever changing way. Fascinating to look at. Les Crosets is the highest resort on the Swiss side of the Portes du Soleil and this enables you to cross over into France effortlessly and take advantage of the 650km of skiing. Les Crosets is easily accessible from Geneva and a little further from Basle. Whether you go in the winter or summer you will find a gem of a place and one that many people come back to year after year. Why would you want to go anywhere else? Les Crosets is perfect for families. Great facilities for children learning to ski and the Swiss side of the Portes du Soliel is always less busy than the French side, and so room to move around on the pistes. From time to time there is free Vin Chaud which is always welcome after a day skiing! 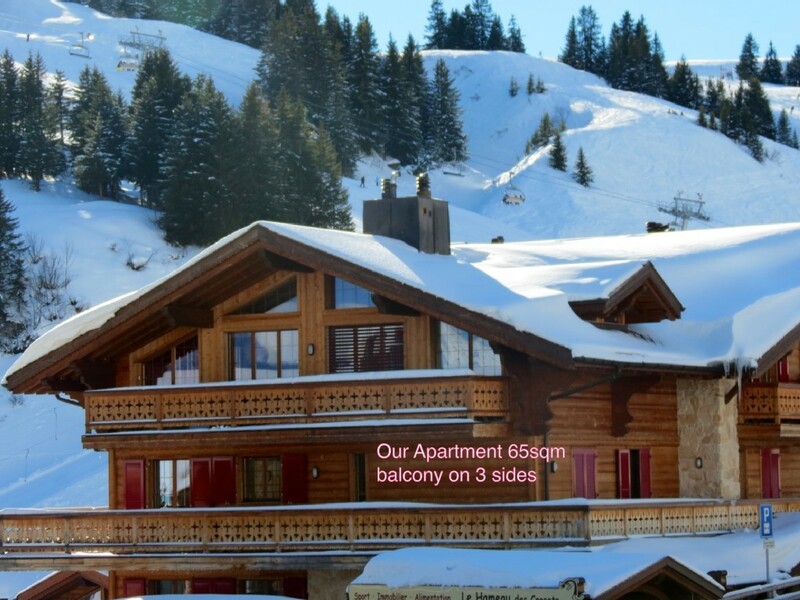 Champery is just a cable car ride away and the Thermal Baths in Levey des Bains which can also be accessed easily. The Post Bus connects Les Crosets with trains in Val d’Illiez, enabling you to explore the entire Valais region. In summer, it’s possible to mountain bike or walk long distances and explore large areas by taking advantage of the chair lifts, and in Winter you can ski over as far as Les Gets. The Hameau, is a new Alpine style hamlet with shops, supermarket, small spa, bars and restaurants. The tourism office is situated adjacent to the hotel, providing a wide range of useful information about the area and the activities on offer. There are several good bars in the Hameau, which regularly feature live bands. And for those with energy left after a day on the slopes, there's also floodlit evening skiing on selected days.